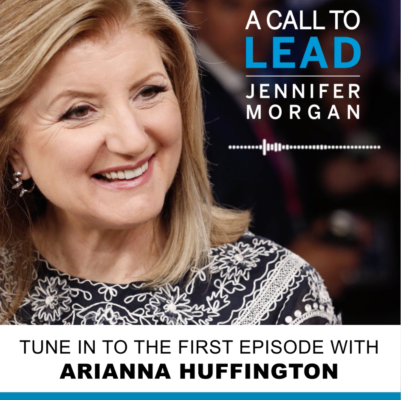 January 28, 2019 — If you want to know how some of the most successful people got to the top of the mountain, subscribe to Jennifer Morgan’s new podcast, A Call to Lead. She is SAP’s Americas’ President and the host of their SAPPHIRE NOW conference, where she interviews presidents, captains of industry, and the most fascinating people. Jen debuted as a member of Fortune’s Most Powerful Women list in 2018. The podcast serves as the newest development of Jen’s annual discussion at SAP’s SAPPHIRE NOW conference — the world’s largest and most innovative business technology conference. From former U.S. presidents, first ladies, and secretaries of state to business titans from every industry and corner of the globe, Jen has hosted prestigious leaders and now she’s bringing the conversation to her new podcast, which is aimed at mid-career, emerging leaders. 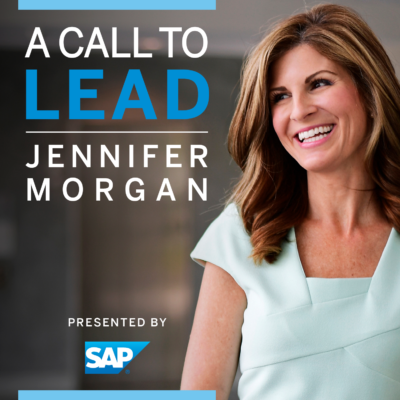 A member of SAP’s Executive Board, Jen Morgan is one of the top female leaders in tech. In episode one, Jen sits down with Arianna Huffington of Thrive to discuss all things women in tech and to share Arianna’s keen business savvy for success with the next generation of emerging business leaders. Early interviews include Bobbi Brown, Gary Vaynerchuk, and Frances Frei. A Call to Lead is available on iTunes, Google Play, and Stitcher.